Franks averaged 32.5 points on 65 percent shooting, 10.5 rebounds, 2.5 blocks, 2.0 assists and 2.0 steals. 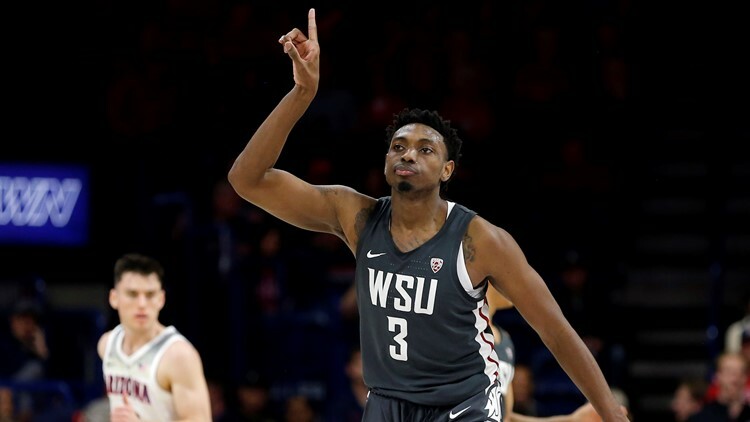 Washington State forward Robert Franks is the Pac-12 Player of the Week for the week of Feb. 4-10. Against ASU, Franks tied his career-high with 34 points, 13 rebounds and 4 blocks, along with a career-high 4 steals. Two days later at Arizona, he followed it up with 31 points and 8 rebounds. Franks is averaging 22.6 points per game, leading the Pac-12. With his 12 3-pointers over the weekend, Franks has now hit 141 3-balls, which ranks 10th all-time at WSU. Franks averaged 32.5 points on 65 percent shooting (22-34 FG, 12-18 3FG, 9-9 FT), 10.5 rebounds, 2.5 blocks, 2.0 assists and 2.0 steals in the convincing victories.